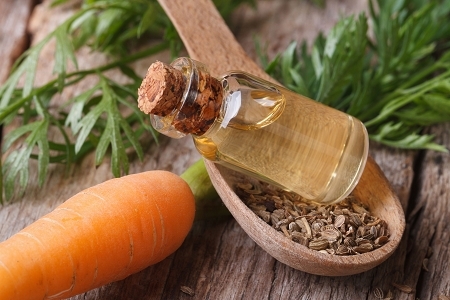 Carrot seed oil is derived from the dried seeds of the wild carrot plant (Daucus carota). Like many oils, Carrot Seed Oil is a protectant against environmental assailants like pollution and UV rays. The differentiator that sets it apart is its ability to encourage rejuvenation of the skin which is likely attributed to the high quantities of carotol. The high doses of vitamin E and C in Carrot Seed Oil make it effective in nourishing and moisturizing. It is also known for its stress reducing properties in aromatherapy.